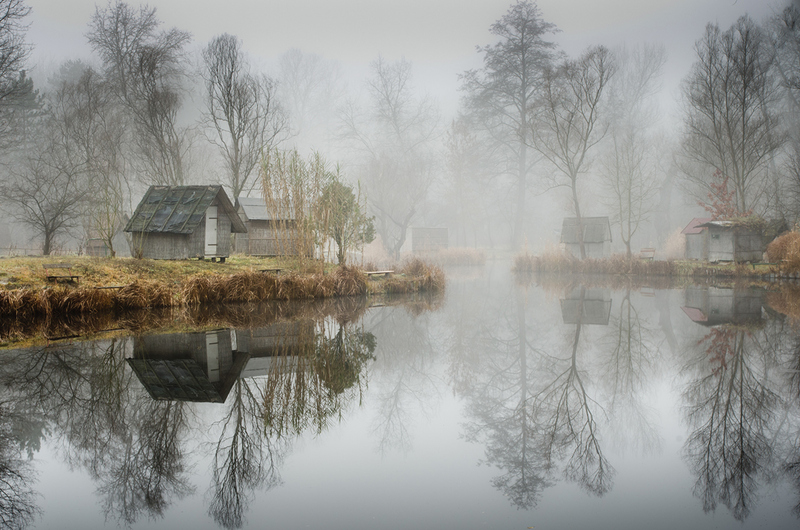 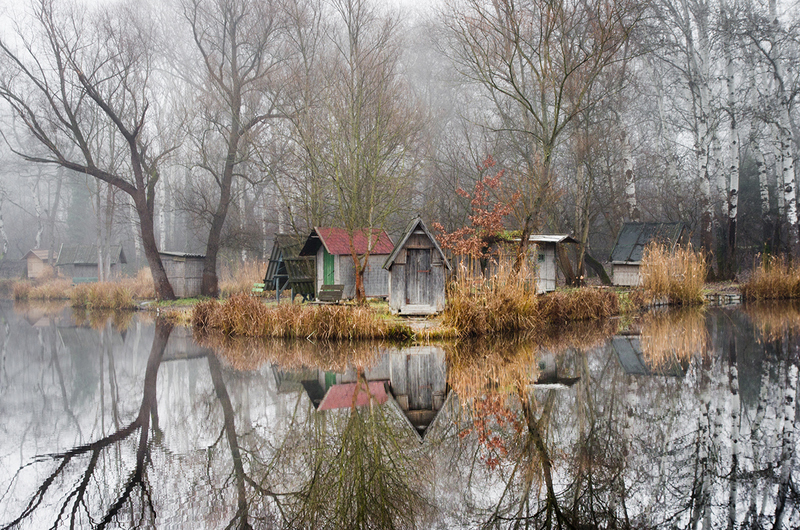 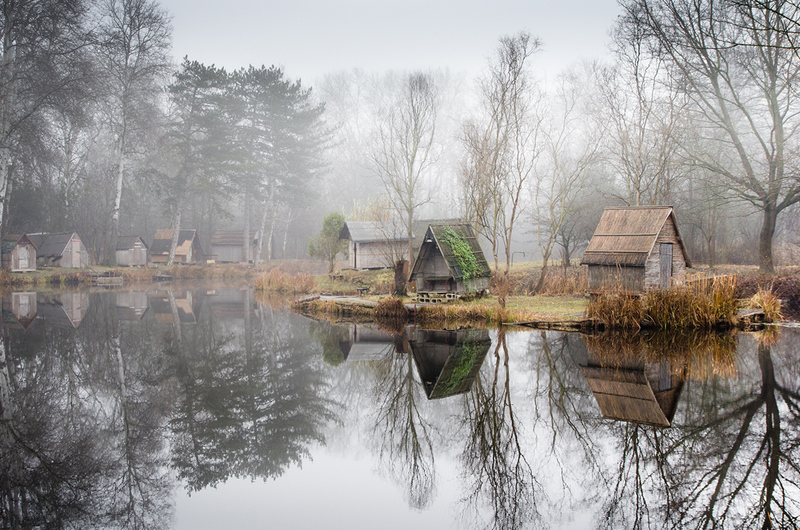 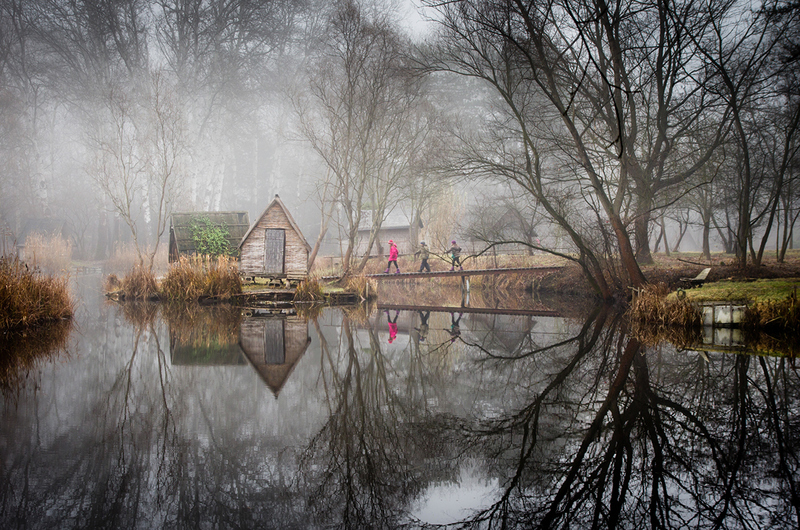 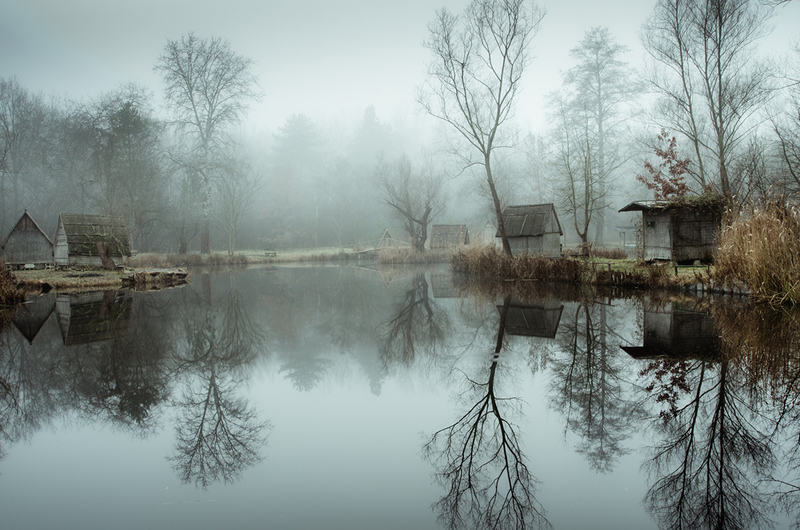 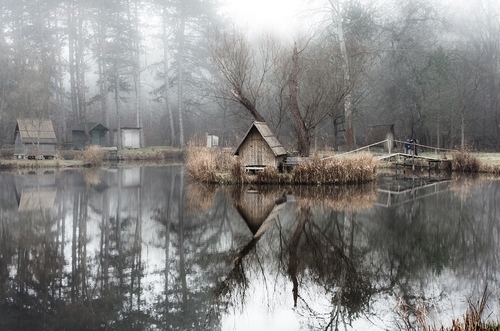 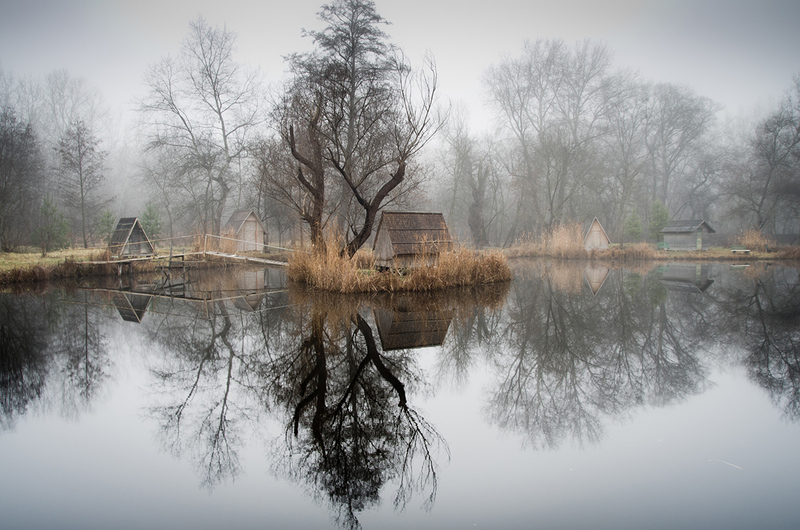 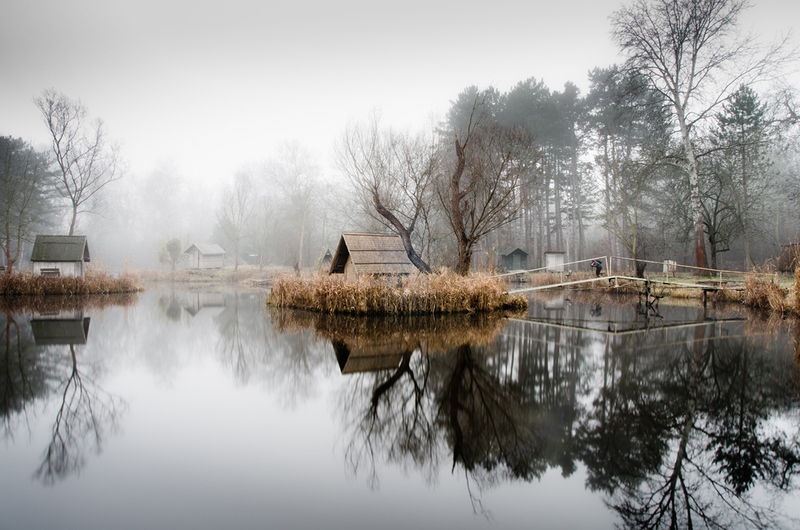 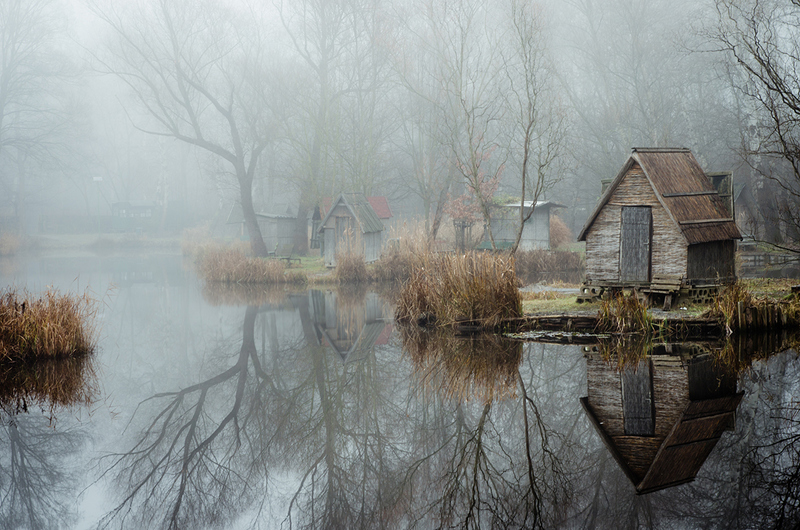 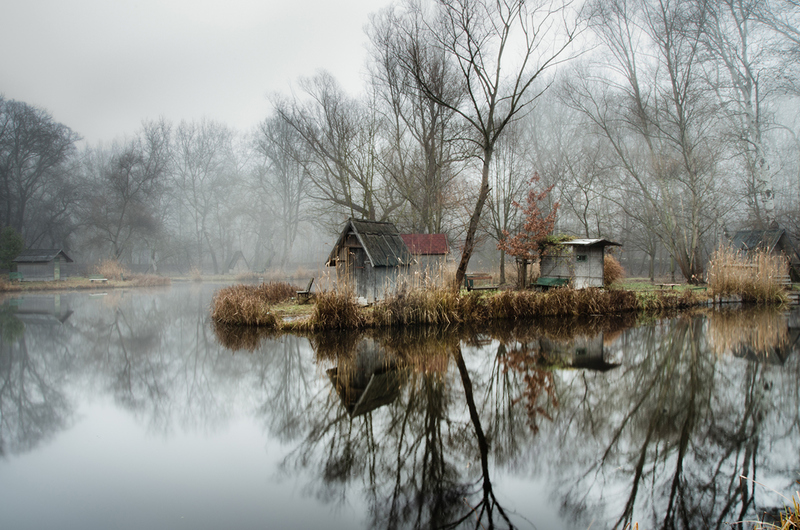 Hungarian Amateur Photographer Viktor Egyed, accidentally came across this collection of abandoned fishing huts in Szödliget, a few miles from Budapest. 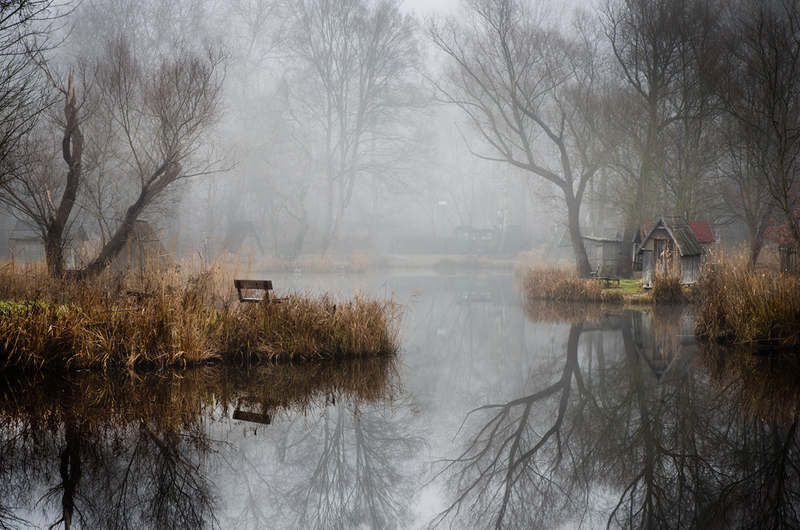 The scene, is peaceful and serene, it almost looks staged for a movie. 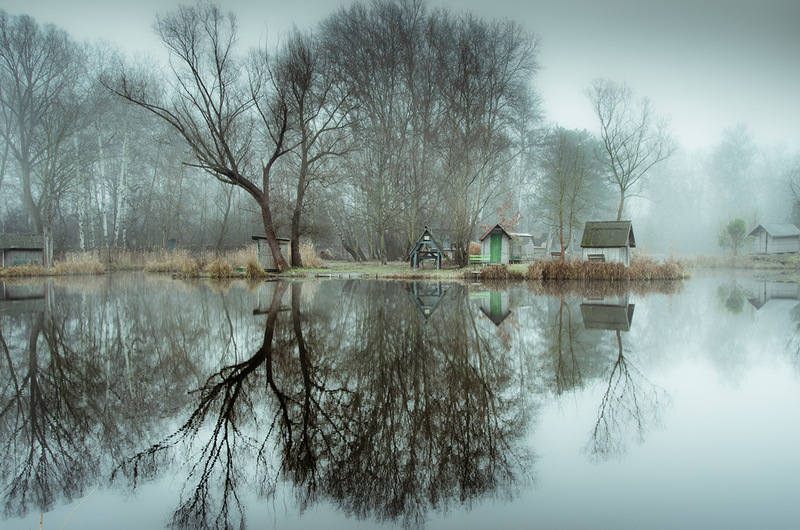 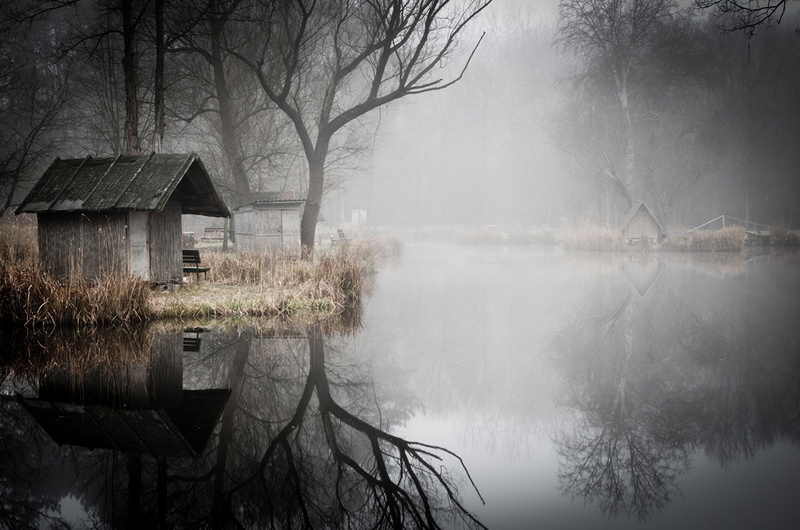 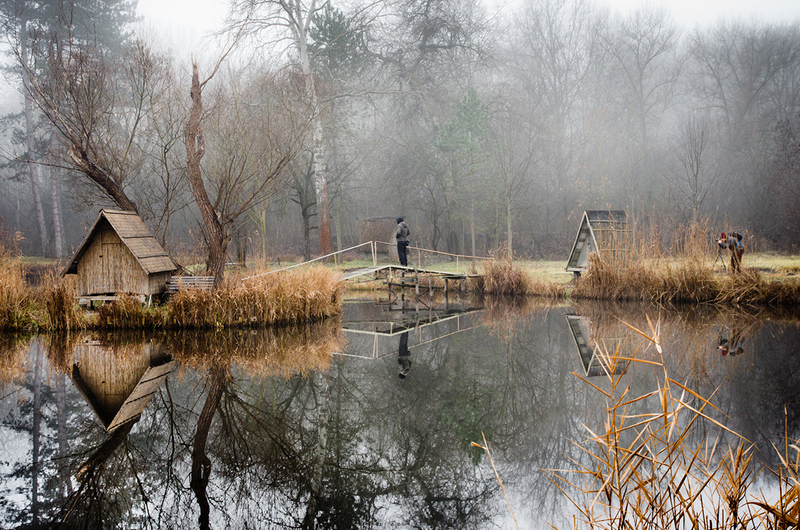 The slight fog and the beautiful reflection, this fishing lake provides, really make for the look, of an enchanted place.